Now, more than ever, wedding styles are completely personal. Many are choosing to go the country route. They are often having their weddings in non-traditional places brimming with character. In fact, having a rustic wedding is one of the most popular trends today. If this type of wedding intrigues you, here are the top five must-haves for yours. 1) A location with a rustic theme (or one you can decorate for a country look). A farmhouse yard, barn, or vineyard is ideal. Farms and wineries both meet the top two criteria for authentic versions of this type of wedding. First, they tend to be in rural areas, plus they have lots of space. They also contribute the right “feel” to your wedding. For ideas on decorations and set up, check out the Barn Weddings pinboard. 2) Wooden wedding entrance or directional signs. Out of the way can also mean lost guests. So arrows at the end of the road or other turns along the way are popular. There are also ample opportunities for signs at the wedding and reception itself. Those like the one above, in the title image, at the reception door are currently popular. 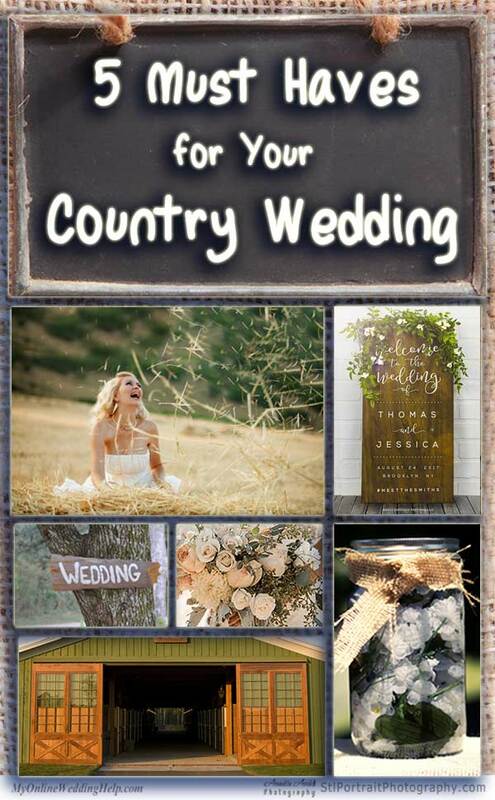 To get this one and see other rustic wood wedding signs, go here and look for this one as the second buy link on the page. The decor must, of course, match the ambiance. Consider integrating raffia, burlap, lace, hay bales, barrels, or mason jars into the reception. Rustic centerpieces are a must-have. See how to recreate five favorite rustic centerpieces here.And mason jars are a natural fit. For more mason jar centerpiece ideas take a look at the blog post here. Even essentials can fit the bill as decorations. Like a wooden card box on the gift table. Check out the one in the above image (the second listing) and others in the rustic card box section of the My Online Wedding Help shop. 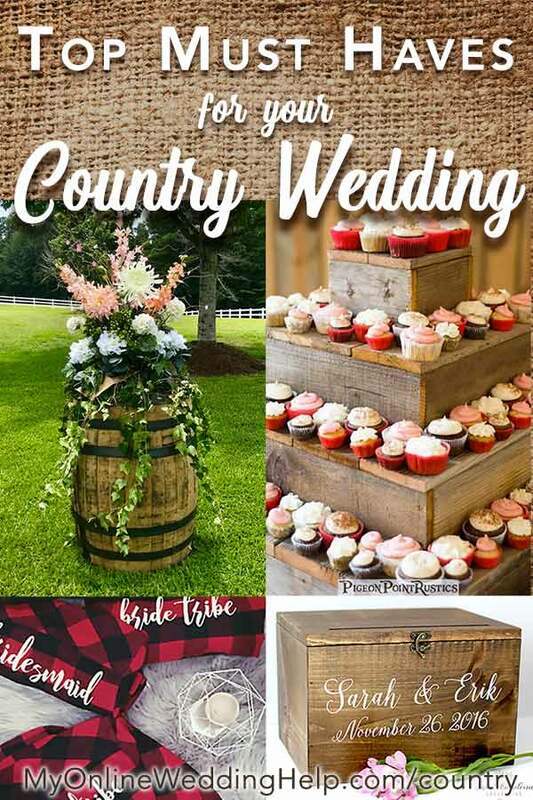 A cake or dessert stand is another way to add country flair to the wedding decor. Display cupcakes as shown in the picture or use only one or two layers as a cake stand. David sells them in four sizes here. Rain (or wine) barrels are popular. They make for a dramatic effect with large flower arrangements perched on top. Making those like in the above photo is hard. So if you need help, Misty has you covered. She will make them for you from silk flowers. Find out all about it here. If you’d prefer to DIY, scroll down to number 5, where there’s a link to bouquet tutorials. 4) Flannel, flasks, or other thematic wedding party gifts. You will, of course, want to extend the theme to your wedding party gifts. Plaid or flannel shirts for the bridesmaids are currently a hot trend. They are ideal for getting ready before the wedding. Or to change into after the wedding if you are having an informal reception. Take a look at some options, including those in the earlier image, in the shop section here. 5. Asymmetrical bouquets and arrangement. Rustic flowers tend to be somewhat messy, in a gorgeous way. The effect of loosely-arranged blooms, dried grass, or wildflowers can be dramatic. Take a look at the DIY Real Wedding Flowers blog post. 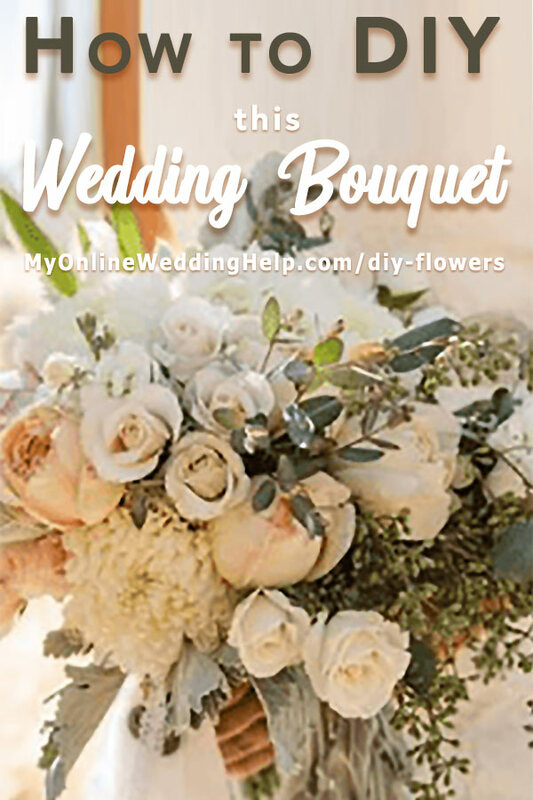 It has resources and directions on how to make the bouquet in the picture and other decorations. We did all of these mentioned above for my daughters wedding. It turned out beautiful!